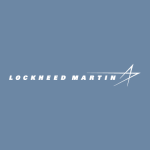 Lockheed Martin (NYSE: LMT) has landed a potential five-year, $240M contract to help the Missile Defense Agency develop, apply and sustain a modular objective simulation framework for ballistic missile defense systems. MDA will obligate $1.7M in fiscal 2018 research and development funds to finance initial activities under the contract’s first task order valued at $49.7M, the Defense Department said Monday. The company will also replace legacy ballistic missile defense tools as needed, and sustain associated legacy architecture. Work will take place in Huntsville, Ala., through Nov. 18, 2023. The agency attracted three proposals for the sought services.